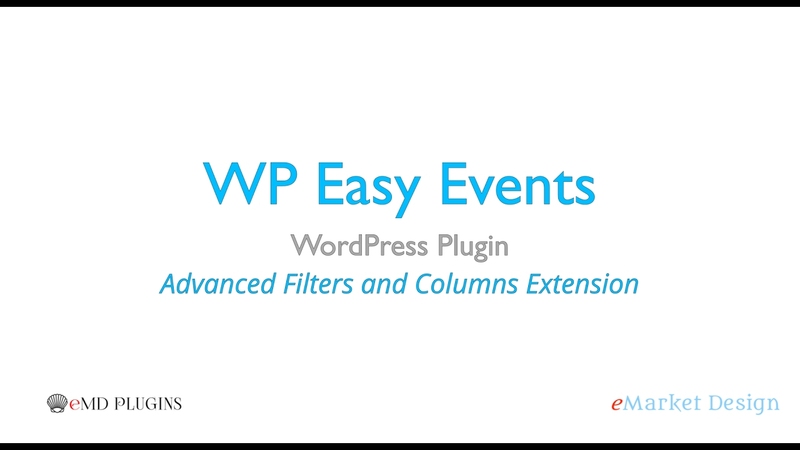 The Smart Search Addon for WP Easy Events helps you to filter through your events and everything else you are looking for. Search, create reports and enable/disable columns on your events, organizers, performers, venues and attendees. Offer ability to search using multiple criteria supporting search operators. Create and save dynamic filters to track trends in a specific segment. For example, if you want to track events organized by a specific host in a venue and see how data changes over time. Provide ability to export search results to PDF or CSV. Enable, disable columns, order values or set specific filters for events, organizers, performers, venues and attendee records in admin area. Sort the admin lists by attribute.